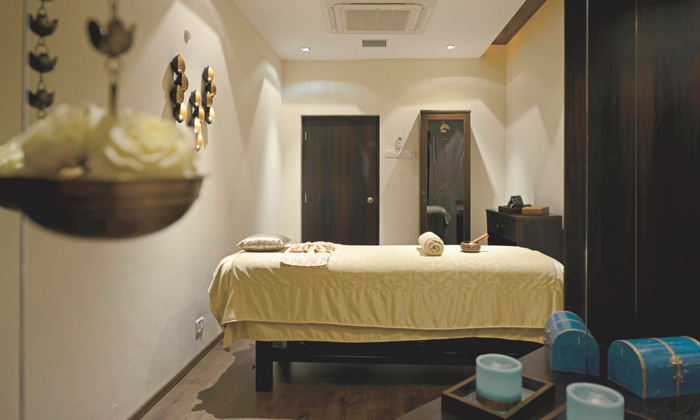 Whether a massage or a reflexology, it can keep all your stress, knots and aches away! So what are you waiting for? Go ahead and schedule a massage for today at U Sante Spa. A complete toast to your health, U Sante Spa offers a luxurious set of therapies and wellness services to help restore your vigour. With options such as traditional Balinese massage, Lomi Lomi massage, aroma therapy massage, a range of body scrubs and masks, the therapists combine both Indian and Asian techniques in order to obtain the best results for you ensuring an unforgettable experience for every customer. Apart from this, U Sante Spa offers a range of beauty services as well to help retain your glow. Step into this bliss and relax yourself in the serene environment of U Sante Spa while the experts work their magic on you.